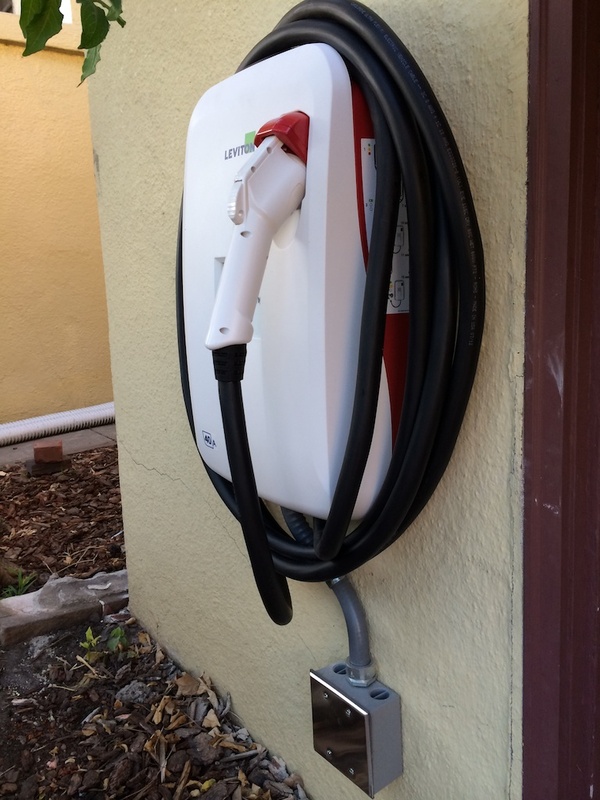 This entry was posted in Electric Vehicles, Energy, Energy Efficiency and tagged EVSE by Rudi Halbright. Bookmark the permalink. A minor point, but the Tesla Roadster HPC can charge at 70 amps. The Model S can charge at 80 amps (I think, not 100% sure). Like you, I wanted to save some money and got the Bosch unit. It has been working great for over 2 months now. I also had my electrician install it to save money. He also installs through Bosch, but if he does it that way and does all their paperwork it costs twice as much. Timothy, thank you for your reply. I double-checked with Tesla’s site and the single charger maxes out at 10kw which is just over 40 amps. The dual charger (upgrade) can draw up to twice that amount. It’s outlined here on Tesla’s website. Rudi, your readers may also want to consider the Clipper Creek LCS-25. It charges in approximately 20% the time it takes the 110 volt level 1 charger included by Fiat (versus 15% for 30 amp level 2). Even in San Diego with only a five-hour low rate window, you should be able to charge your Fiat 500e from zero at night. The reality is that you are never at zero so my night charges are finished in one to three hours. I have been using the plug in (P) version ($549) for over a month with great results and absolutely no issues. It is the only level 2 charger on the market that would fit in my tight space — AND it is portable so you can take it with you if you move or if you visit friends who can provide access to a dryer outlet. I haven’t tried it yet, but I believe it will fit in the same trunk compartment that holds the Fiat level 1 charger. Another advantage for the plug-in version is that a dryer outlet for some reason is less expensive to install — mine cost $320, which included moving a 110 volt outlet. I have no affiliation with Clipper Creek, but I do believe it is a great product at a good price. I hope this helps.